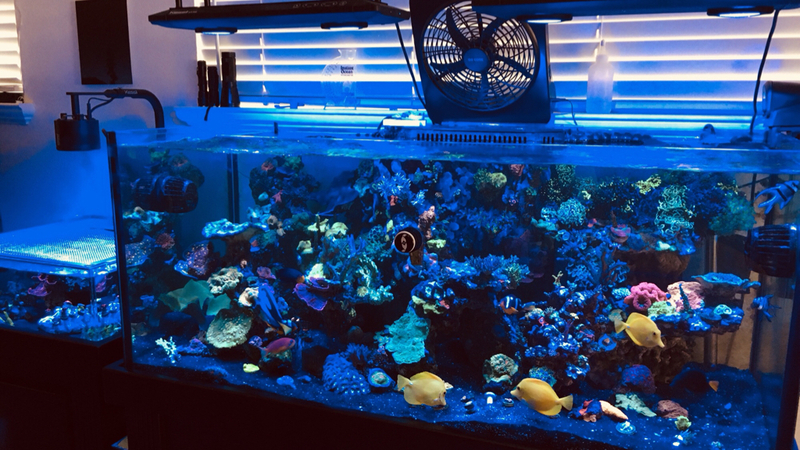 Discussion in 'Other Reef Talk' started by ddrueckh, Aug 7, 2018. Yes, that's the cube ! I have to finish basic plumbing, just hoses; SpaFlex for the drains and over the rim with vinyl hose so I can run the RO units; crossing fingers for the upcoming weekend. 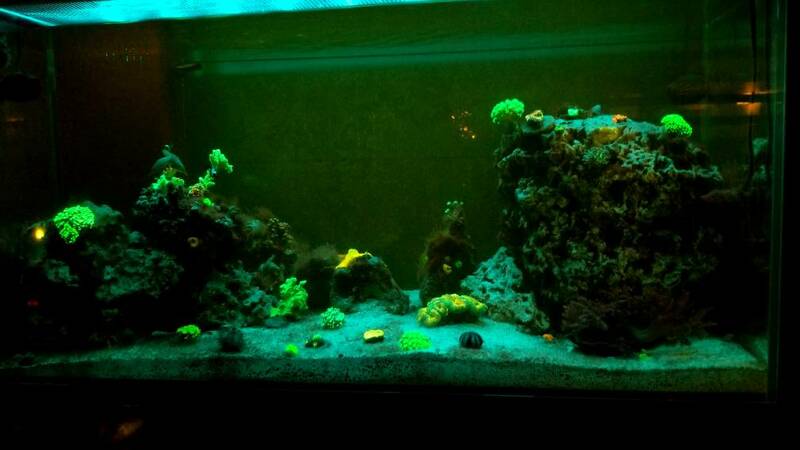 will mix salt and water in the tank. It’s still keepin on. I enjoy the new look, and the new lights a lot. 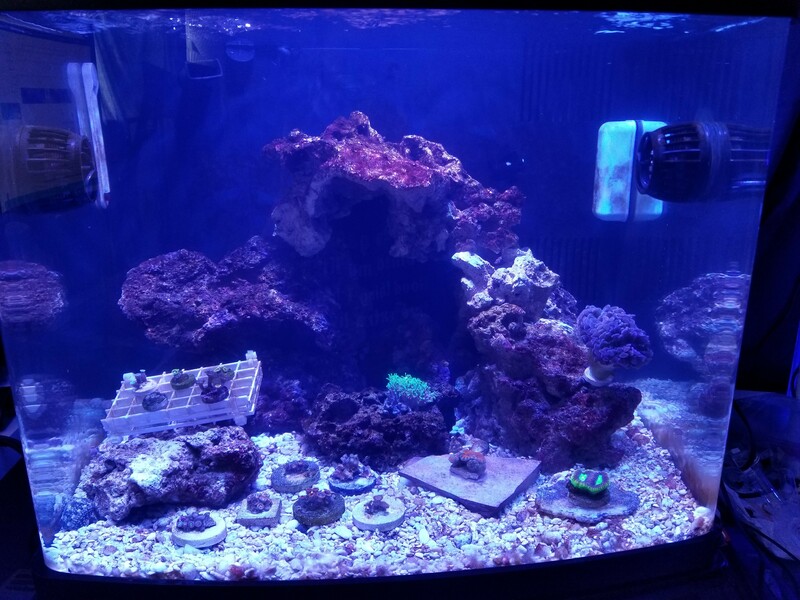 scuba71, glee, tankguy and 2 others like this. View attachment 10146 It’s still keepin on. I enjoy the new look, and the new lights a lot. That looks great. What new lights did you get? tankguy and glee like this. What is between the green monti cap and the purple mont cap? Still using 4 kessils and now using 3 Orphek Atlantik units. You might consider a bigger tank sometime soon LOL. WOW, that thing is packed full of beautiful coral! tankguy, jorahx4, scuba71 and 1 other person like this. Kmooresf, jorahx4 and Newjack like this. jorahx4, scuba71 and Ranjib Dey like this. Why did you put mushrooms with sps instead of softies? Here is a picture from last night. 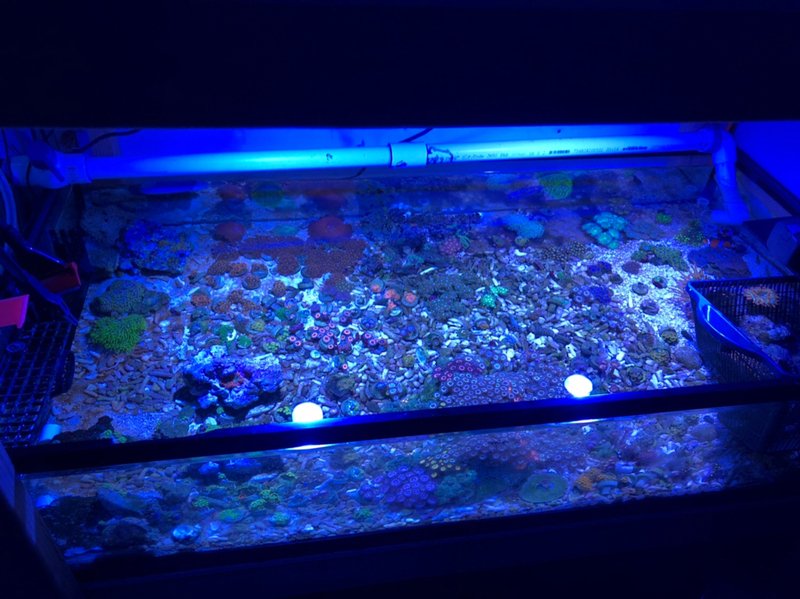 I'll dig up my tank thread and make an update too.